It’s hard to believe that the first quarter of 2016 is almost done. Where did it go? Only one chapter has been written since the end of December, but it’s a good one. Amelia is off at Elms Academy where Aunt Martha banished her after she disobeyed her strict aunt one too many times. There she meets new people–some nice and some not so nice. I like how this story is developing. I’m attending critique group twice a month, but might need to cut back to once a month. The spring real estate market is very busy and I am gone many evenings, so being home one extra night a month will make a difference to the family. I dug out The Sisterhood and brought it with me to the last two critique group meetings; mostly because I hadn’t written the next chapter of Amelia’s story, but also because I think it deserves some attention. It definitely needs extensive revisions, but the overall idea is strong. A New Home – Three abandoned kittens search for a new place to live. Crabby Cathy is about a mean bully who bothers Amy until she discovers why Cathy behaves the way she does and works on befriending her. Everybody’s Home for Christmas – Rachel is sad her father is stationed overseas during the holidays and prays for a Christmas miracle. The Real Cinderella Story – A snarky story by one of Cinderella’s stepsisters. I love this one! Looking for a home for it. Beatrice and the Dinosaur – First book in a series. Needs some polishing, but it is about a girl and her imaginary friend who go on adventures together. In this one, Beatrice and Charlotte imagine Dad’s lawn mower is a dinosaur. Beatrice and the Polar Bear – The second book in the series finds Beatrice and Charlotte being chased by a polar bear (Dad’s snow blower). This one also needs a bit of polishing. Searching for Popularity is what I had started as a middle grade/young adult memoir. I think the story would be better as a novel so once some other projects are completed I will tackle this one. A Shepherd’s Journey is a Christian novel for the adult market. It tells the story of Obed, who seeks out the apostles after the Resurrection to learn if Jesus is the Messiah he met when he was just a boy living outside of Bethlehem. Looks like I have more than enough to keep me busy. How about you? Have you set some writing goals for this year? 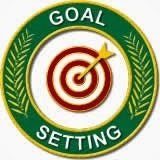 Do you review your goals on a regular basis? 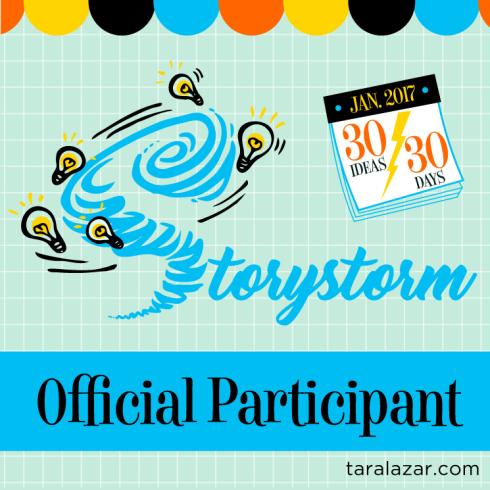 What is one story idea you have that is begging to be written? My last post set forth my writing goals, but I know they need to be broken down into smaller chunks to make them more manageable. So here it goes. Main Goal: Complete Amelia’s Mission by December 31, 2016. Smaller Goal: Write one chapter a month. Doable since twice a month I need to bring something new to my critique group. Smaller Goal: Time block one Saturday afternoon to writing. Main Goal: Continue to attend critique group twice a month. Smaller Goal: Time block on my calendar so I don’t put other work in its place. Main Goal: Edit The Sisterhood. Smaller Goal: Time block one evening a week to edits. Smaller Goal: Have first half of book edited by May 31, 2016. Honestly not sure right now if this is realistic. Just have to see what the spring brings for real estate and other work. Have you set any writing goals for yourself this year? How about other goals? Do you break them down so they are more manageable?